Capture your favorite video scenes as "photos"! "Until now, it has never been very easy to capture a single still image from a video. With "AfterShutter 4K", you can easily capture the best frame from video shot with your smartphone, save it as a photo, upload it to social network services, or send it by e-mail." Great for those situations when you would normally miss a photo opportunity, such as when your kids are playing! Great for those situations when you would normally miss a photo opportunity, such as when your kids are playing or your pets are moving around, and during sports and dance performances! Simply shoot a video rather than photos, and then use "AfterShutter 4K" to capture the best shots! You can also capture individual scenes from movies and anime. Using AfterShutter 4K is simple! 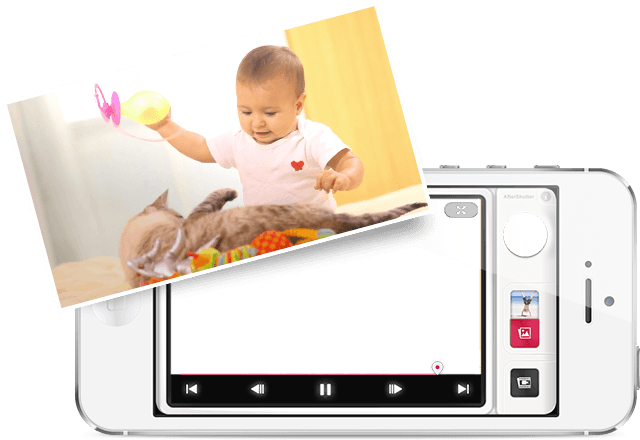 Select the video from which you want to capture still images. Videos should be shot with the standard camera application on your smartphone. Select the frame you want to capture as a photo. 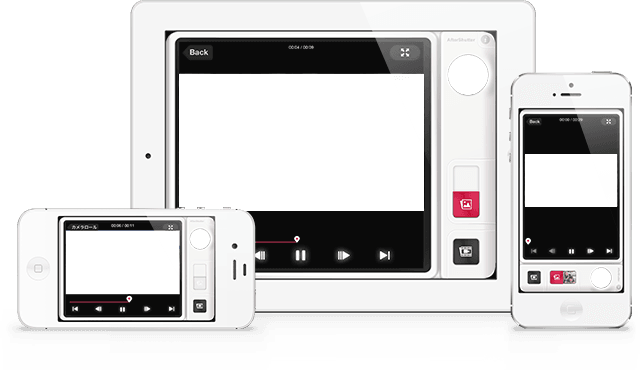 Use intuitive operations to select a frame, such as tapping the screen to play the video, dragging and flicking to adjust the time frame, and pressing buttons to advance frames. Press the "Full Screen Mode" button in the upper right corner to easily switch to full screen mode. 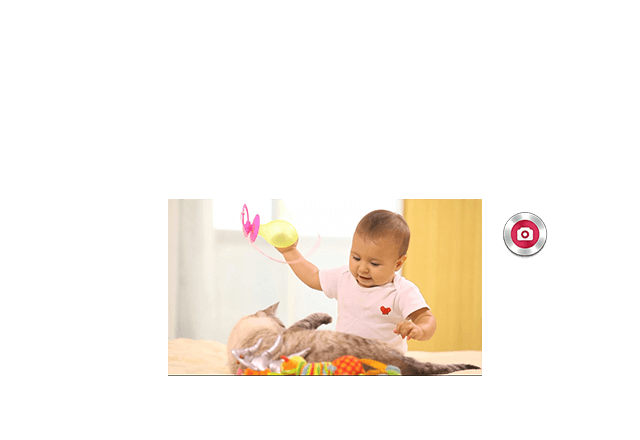 Press the shutter button (with the camera icon) to capture a still image of the selected scene. After capturing an image, tap the icon on the bottom right to save it as a photo. When you share a photo on a social network or be e-mail, it is saved automatically. *The Android version saves all photos automatically. There is no save button. Use the image folder button to share multiple images on social networks or by e-mail. Tap an image to enlarge it, and tap the checkbox on the top right to select/deselect the photo. *The Android version can also share with other applications. AfterShutter 4K is available on the App Store and Google Play. iPhone 4, iPhone 4S, iPhone 5, iPod touch (4th and 5th generation), iPad 2, iPad, iPad mini. *iOS 5.0 or later required. Android 4.0 or later smartphones. 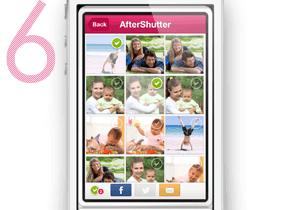 "AfterShutter" application for capturing photos from video released.